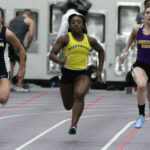 The Gustavus women’s track & field team competed at the Mustang Open at Mount Mercy University on Saturday as a full team for the first time this outdoor season. Megan Hill, Sara Moen, Tierney Winter, Haley Anderson, Abigail Schnabel, Katie Keelin, and Annalee Olson-Solo all led the Gusties with first place finishes in their respective events. 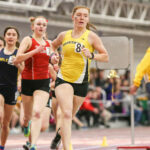 The Gustavus women’s track & field team took fifth place at the MIAC Indoor Championships on Saturday at St. Olaf with 59.5 points. St. Thomas claimed the title with 197 points. 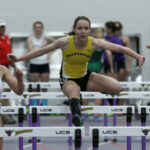 The Gustavus women’s track & field team sits in fifth place after day one of the MIAC Indoor Championships with 41.5 points. St. Thomas leads the field with 97 points. 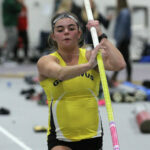 The Gustavus women’s track & field team took fourth out of six teams Friday at the Maverick Invite, hosted by Minnesota State University, Mankato. The Gustavus women's track & field team competed at the St. Olaf Quadrangular on Friday and captured five individual event victories. 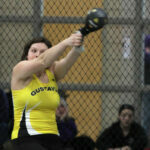 The Gusties won the 60-meter, 600-meter, 1000-meter, shot put, and weight throw. 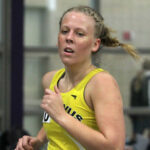 The Gustavus women’s track & field team is set to compete at the St. Olaf Quadrangular on Friday evening. The meet starts at 4 p.m. and includes Bethel, Gustavus, St. Olaf, and St. Thomas. The Gustavus women’s track & field team Friday claimed first place at Macalester’s Vanessa Seljeskog Classic, totaling 83 points. 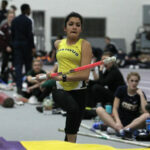 Bethel took second, Macalester placed third, and St. Catherine finished fourth. 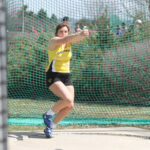 The Gusties took home eight first place finishes along with six second place finishes. 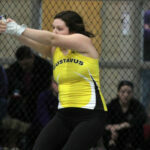 The Gustavus women’s track & field team is set to compete at Macalester on Friday for its second meet of the season. The Vanessa Seljeskog Classic begins at 4:30 p.m. in the Leonard Center.